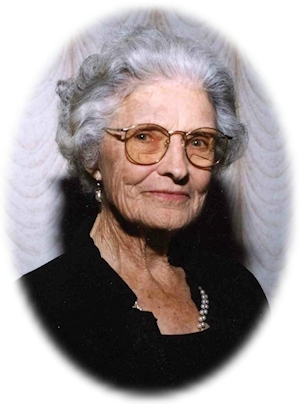 Obituary – Mittasch, Flossie Mae (Kaup) « Perry High School Alumni Association, Inc.
Flossie Mittasch, 92, passed away at 10:30 a.m. Thursday, February 7, 2008, in Blackwell, Oklahoma. Funeral services will be held 10:00 a.m. Tuesday, February 12, 2008, at the Morrison Christian Church in Morrison, Oklahoma. Pastor Roy Fleshman will officiate. Interment will follow in Sumner Cemetery. Services are under the direction of Brown-Dugger Funeral Home in Perry. There will be a family visitation from 6:00 to 8:00 p.m. Monday, February 11, 2008, at the Brown-Dugger Funeral Home. Memorials may be made to the charity of the donor’s choice in care of Brown-Dugger Funeral Home, 1010 N. 7th Street, Perry, Oklahoma 73077. Flossie Mae Kaup was born December 15, 1915, in Perry, Oklahoma to Levi H. Kaup and Edna Naomi Slaven Kaup. She was married to Grover C. Mittasch, Jr. on April 22, 1939, at Eureka Springs, Arkansas. Flossie enjoyed quilting, reading, gardening, farming, ranching and traveling on bank bus trips to various locations. She was a member of the Sumner Christian Church until it disbanded and then became a member of the Morrison Christian Church. She was also a member of the Sumner Home Demonstration Club and served for over 50 years on the Auburn Township and Sumner Election Boards and was a Noble County Election Board volunteer. Flossie is survived by her daughter and son-in-law, Janice and Larry Hansen, of Perry, Oklahoma; her sons and daughters-in-law, Bob and Betty Mittasch, of Newkirk, Oklahoma and Kenneth and Peggy Mittasch, of Pawnee, Oklahoma; eight grandchildren, Kevin and Jill Hansen, of Perry, Oklahoma, Kyle and Kim Hansen, of Edmond, Oklahoma, Leasa and Joey O’Donnell, of Andover, Kansas, Carla and Jeff McCary, of Enid, Oklahoma, Kelly and Kyle Trotter, of Ponca City, Oklahoma, Brian and Tracy Mittasch, of Edmond, Oklahoma, Ryan and Laurie Mittasch, of Mannford, Oklahoma and Barry and Mandy Mittasch, of Bixby, Oklahoma; fifteen great-grandchildren, Jayde Hansen, Morgan and Zac Hansen, Kaegen, Kale and Kinley O’Donnell, Kaylen and Kaci McCary, Cole and Cory Trotter, Blake and Brayden Mittasch, Gunner and Grady Mittasch, and Mason Mittasch; one sister, Margaret Parker of McPherson, Kansas; two sisters-in-law, Ilene Mittasch of Perry, Oklahoma and Anna Belle Ellis of Oklahoma City, Oklahoma; several nieces and nephews and many other friends and relatives. She was preceded in death by her husband, Grover Mittasch, her parents, Levi and Edna Kaup, three sisters, Mary, Edith, Ellen and one brother, Freddie.